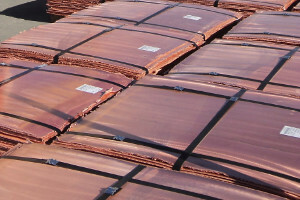 CathoTec manufactures permanent cathode plates for copper, nickel and zinc refineries worldwide. The hanger bars are explosion bonded or laserwelded and a similar metal weld between sheet and hanger bar is done by laser. We provide together with our partners various stripping machine solutions for different capacity needs. Semi-automatic machines for a capacity less than 30 plates per hour, automatic machines for larger capacity requirements. Our local partners provide cathode plate maintenance for existing cathode plates of copper and nickel refineries. We use our own machines specially designed and manufactured for cathode plates. Whenever local maintenance is not the optimal solution for the refinery, the maintenance of the cathode plates can be done by equipment provided by CathoTec. We can deliver single equipment or the whole workshop for the maintenance. CathoTec Oy is a Finnish company that provides cathode plates, maintenance services and cathode plate maintenance equipment. CathoTec works together with its local co-operating partners worldwide. Contact CathoTec. We are always ready to help and discuss more on our products and services. We will do our best to respond also always within 24 hours to your email request. CathoTec is in a unique position to provide semi-automatic and automatic stripping machines by cooperating with its partners. Semi-automatic stripping machines are usually planned for a capacity of 20-30 plates per hour and fully automatic machines achieve the capacity of 120 plates per hour. The simple semi-automatic stripping machine consists of input conveyor to which the overhead crane usually leaves the cathode plates. The stripping machine processes one plate at a time first by moving the plate for stripping where a chisel tool is operated manually. The copper deposit falls down to a collection box that is then rotated to the horizontal position moving copper cathode to the storage box. The cathode plate will be moved to the hanging area. CathoTec Oy is a Finnish company that provides cathode plates, maintenance services and cathode plate maintenance equipment. CathoTec works together with its co-operating partners worldwide. CathoTec Oy is a Finnish company that provides cathode plates, maintenance services and cathode plate maintenance equipment. Having its head office in Helsinki, Finland, the company has its international sales office in Frankfurt am Main, Germany. Our local partners provide cathode plate maintenance for existing cathode plates of copper and nickel refineries. We use our own machines specially designed and manufactured for cathode plates. The maintenance of cathode plates includes both the stainless steel and titanium plates with the possibility to provide customers full services for minor and major repairs. CathoTec also delivers the units directly to the customers when local maintenance is not an obvious solution. The CathoTec workshop includes usually the brushing machine, edge strip manufacturing machines and straightening unit. In case the existing cathode plates need to be perforated the perforation unit is included in the delivery. Extrusion welding is applied to the edge strip manufacturing machine. Plastic granules are fed into an extruder, plasticized and forced out of the extruder into the the edge of the plate. The edge strips adopt their final shape and form a mechanical bond to the surface of the sheet. Edge strip manufacturing machines can be used for side and bottom strip welding. Automatic polishing machines are used to clean sticky copper or nickel from indentations and bumps of the sheet surface. The level of roughness as well as the cleanliness of the surface has an impact on the physical quality of the deposit and even the production level through the improved electrical conductivity. The plate straightening unit is used to ensure the straightness of the sheet and remove the tension after the extrusion process of the edge strip welding. The straightness of the plate has also an importance when the like hood of short circuits in the cells are prevented and also when movement of the solution is optimized in the cell. Customers have proven that the proper cathode plate maintenance is not only essential to sustain the normal production level. 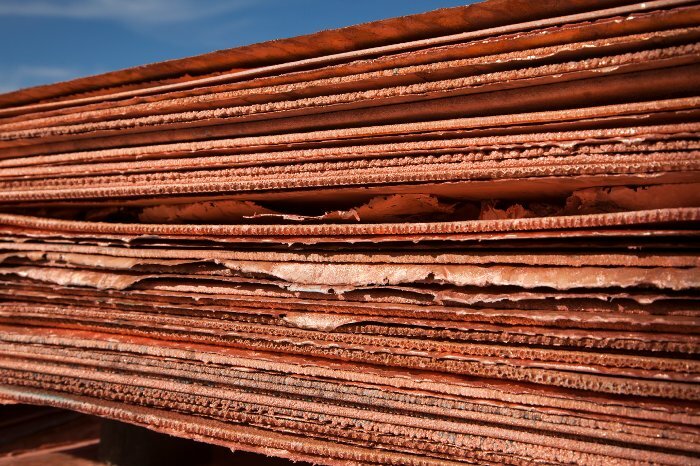 It can also be translated into monetary gains when the physical quality of the copper cathodes improves and other factors such as loop splitter during stripping is reduced. The basic maintenance of cathode plates includes plate samplings, straightening of the plates, polishing of the sheet area above the solution line, automatic brushing of the production area, edge strip welding, straightening of the plate and the final inspection. In order to guarantee the quality of the maintenance CathoTec uses automatic straightening and brushing units as well as different edge strip welding units. Following the sampling of the plate some cathode plates may need to be taken in for major maintenance where the hanger bar is removed and straightened or replaced by the new hanger bar. The welding of new hanger bars is conducted usually by gas tungsten arc welding with special equipment to prevent the adverse effects of thermal expansion. In certain cases, the sheet itself may be seriously twisted and needs to be straightened with special equipment. CathoTec offers first-class permanent cathode plates made of stainless steel, aluminum or titanium. The new permanent cathode plates are manufactured in Finland. Sales and maintenance services are also provided by co-operating partners. CathoTec works in close cooperation with the world’s leading sheet producers in order to offer its customers excellent cathode plate blanks. The normal sheet thickness is 3,00 – 3,25 mm for steel and titanium sheets and 6,00 – 7,00 mm for aluminum sheets. V-groove and lifting holes are usually machined to the sheets. Austenitic steel such as EN1.4404 is in annealed condition the only non-magnetic steel with good to excellent corrosion resistance combined with good weldebility and formability. Duplex stainless steel EN1.4162 has a high strength, good thoroughness and very good corrosion resistance, especially towards stress corrosion cracking and corrosion fatigue. CathoTec provides all type of edge strips according to the customer need. Significant cost benefits can be realized using long lasting extruded edge strips. The maintenance and replacement costs of edge strips are usually the most expensive cost incurred during the lifetime of cathode plates. In certain cases, a copper refinery replacing conventional edge strips with long lasting extruded edge strips has made significant savings of its annual edge strip costs. The use of long lasting extruded edge strips not only improves cost efficiency but also the quality of the copper, nickel or zinc production. Long lasting extruded edge strip technologies are based on extrusion of plastic granules to the edge of the cathode sheet. CathoTec uses explosion bonded or co-extruded hanger bar designs where full copper core is covered with stainless steel or titanium sleeve. 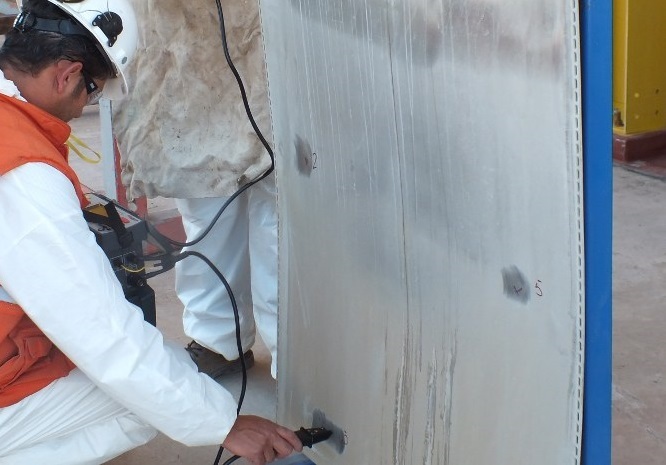 Thanks to the manufacturing method the common problems of corrosion and electrical conductivity can be avoided. The hanger bar is laser welded directly to the plate. Customized contact areas and lifting hooks are manufactured according to the customer needs. The aim of CathoTec hanger bar designs is to provide the best possible electrical conductivity. Sheets for copper refineries are usually made of 316L (EN1.4404), duplex grades such as EN1.4162 (LDX) and EN1.4462 (2204) are also available on request. Sheets are welded into hanger bar by laser. We machine a V-groove at 45 or 90 degrees along with the required holes and lifting openings to the sheets. Sheets for nickel refineries and some copper refineries using starter sheets are usually made of ASME B265 Ti Gr2 grade. Sheets are welded to the hanger bars using a similar metal weld. In titanium plates our hanger bars always utilize metallurgically bonded metals to ensure similar metal welding of the sheets in order to minimize the effects of corrosion. Titanium sheets can be perforated according to edge strip design and the plate will be equipped with lifting holes. Depending on the sizes of the sheet aluminum sheets for zinc refineries are usually made of alloy 1050 – H14, 1060 – H16 or 1070K – H16. Sheets can be equipped with stripping disks and solution line corrosion protection.